Come for a weekend and stay for a lifetime. Blue Ridge retirement in the Georgia mountains could be your next new beginning! Retirement can have many different feels to it. Is it too soon? Do we need more money built up? Where do we retire to? And with all the free time, what am I going to do? Although we cannot answer all your retirement questions, we can help with a lot of the fears of where to be and what to do. The location of your retirement starts with scoping out places that you think might work for where you want to live. So before you just hop up and buy something we would suggest taking long vacations, like renting a cabin in the town of Blue Ridge, GA. Our town has time and time again been named to many publications as a top area for retirement, as well as a top area in the country to own a second home. In fact, recently The Wall Street Journal published an article about “10 Great Mountain Towns for Retirees”. In the article, Blue Ridge was written about and described as a small town in the mountains of North Georgia with about 1,200 residents. It stated that Blue Ridge was a popular tourist destination because of having Lake Blue Ridge, The Toccoa River, and the Blue Ridge Mountains. Also, the article mentions the Appalachian Trail, some of the great Blue Ridge area waterfalls, as well as the Chattahoochee National Forest. These are only some of the items that make Blue Ridge retirement so desirable! Renting a cabin here is a great chance to troll around the area and explore all that our town, forests and mountains have to offer. By staying in a Blue Ridge cabin rental you can create a hub in your location of travel. Blue Ridge vacation cabins are only 90 minutes from Atlanta and Chattanooga, TN, and about two hours from Asheville, NC. While enjoying your stay, you can enjoy the town that has been written about so much by travel writers, publicists, and journalists. The town of Blue Ridge is home to only about 1,200 residents, but Fannin County has almost 25,000 residents in it. However, this number can increase exponentially on holiday weekends and for summer and fall vacations. On a July 4 weekend, you could easily see the population in Fannin County rise to over 100,000 people, but shortly there after they go home, leaving all the beauty back to it’s residents. This is a great testament to why people come to Blue Ridge so often. The mountains have a distinct spell that can be cast over people when they visit, and it’s like they get bitten by the bug that makes you want to return to Blue Ridge over. And then someday maybe soon, you’ll return to for good and start your Blue Ridge retirement. When retiring another big concern is what am I going to do with all my free time? Well, you had better not ask your spouse because I am sure they have a whole list of “honey do’s”. But once your chores are done get out and explore! Waterfalls in the North Georgia area are one of the biggest attractions for hikers, even short hikes. From downtown Blue Ridge within a 30 minute travel radius, there are over a dozen waterfalls to see. They include Amicalola Falls State Park, the location of a 729-foot tall waterfall, the tallest east of the Mississippi River. Another breathtaking waterfall is Branch Falls, Turtletown Falls, and don’t miss out on Sea Creek Falls and many more. If your appetite for hiking is a little more intense try getting on the Appalachian Trail. This famous trail winds through Fannin County, beginning in the Southeastern part of the county. Also consider Benton McKay Trail, the largest spur of the Appalachian Trail, right here in Fannin County. Not into hiking? Then, how about the arts? Blue Ridge was recently named as one of the Top 100 Art Communities in the country. Discover artists galore as they practice their different crafts. No into art? I know you like food! Blue Ridge is an excellent place to be a foodie. Not only do we have some of the finest restaurants in the area, but really in all of the country. We have several chefs from around the world that could choose to exercise their culinary expertise anywhere else, but choose Blue Ridge. Not only are the restaurants in good standing, the climate here in the North Georgia Mountains is a wonderful area to create your own harvest. Gardening is one of our past times here in the mountains. Growing fresh vegetables and gardening are a great way to spend your retirement time while increasing your health. Exploration in the Blue Ridge area during retirement can also include some more action but at a slower pace. Try horseback riding at Adventure Trail Rides or Blanche Manor Stables. Already know you like riding? Then get your own horse, there are plenty of places to ride them! Free and open riding in the Blue Ridge area includes the Aska Adventure Area, Cashes Valley, Rich Mountain Wildlife Management Area, and the Cohutta mountains which are part of the Chattahoochee National Forest. 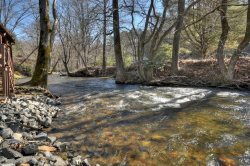 After horsing around, have a relaxing afternoon in a kayak or tube on the Toccoa River, one of the Southeast’s premier trout fishing streams. Enjoy relaxing tube rides from Toccoa Valley Campground, Shallowford Bridge Tubing, Jon Ron River Adventures, or Rolling Thunder Rafting & Tubing. Your Blue Ridge retirement is waiting for you!